Hello, I have been using ReShade for 2 years now and recently I saw a preset I wanted in FF14. 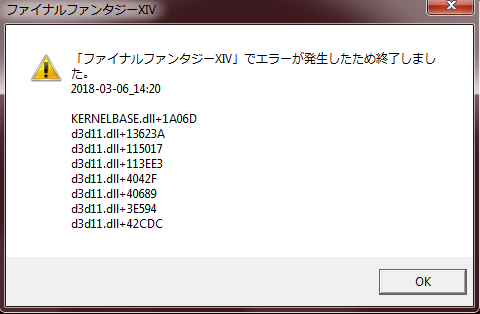 It instructed to delete any versions of ReShade that weren't 3.0.6, so I did a clean uninstall. I'll try to explain in detail what happened so I can figure out the best solution. I was using version 3.0.6 of ReShade. I follow very specific instructions about how to install the preset. Which, TLDR; Uninstall ReShade version if it isn't 3.0.6, install 3.0.6, edit .ini files so that the ReShade path is the path on my computer to my \game\reshade-shaders\ folder, and bam it should work. I deleted all folders related to ReShade then so I could install this one. 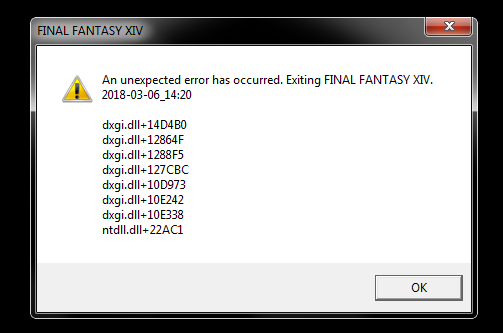 I booted my game up, and started getting multiple d3d11.dll errors. I clean uninstall that and install the newest version of ReShade, and start getting these errors. 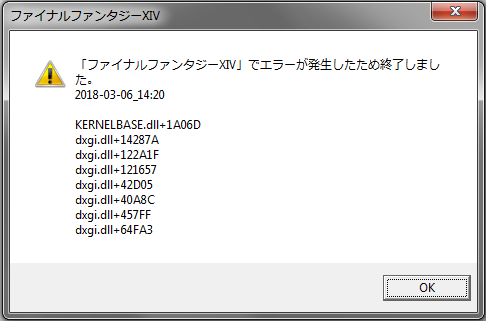 [/url] I read somewhere that changing the .dll name from dxgi.dll to d3d11.dll would fix the issue, but yet it persists. I then decided to follow an installation guide incase there was anything I was missing, and that seemed to work for a minute. 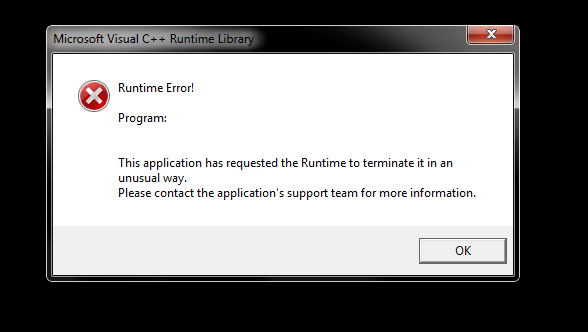 However, after a minute of my game being frozen, I got a crash with this error. I'm not really sure how I could go from using ReShade for 2 years to it suddenly giving me a world of errors, but any help is appreciated, thanks. Last Edit: 1 year 4 weeks ago by mitoshibi. First of all, update to the latest version (3.1.2). It's compatible with all presets created since 3.0.0. If you are still seeing issues, take a look here: reshade.me/forum/troubleshooting/3293-co...-and-their-solutions. None of these seem to be working. I tried the ENDInjector, but I don't seem to be able to get it or understand how to make it work with ffxiv. I downloaded earlier versions and that isn't working. I made sure my Microsoft C++ and my AMD was up to date as possible (just updated both) to see if that was an issue, it wasn't. I disabled all overlays that could possibly be getting in the way (discord maybe?) but that didn't work either. My game is freezing on boot, and then crashing. 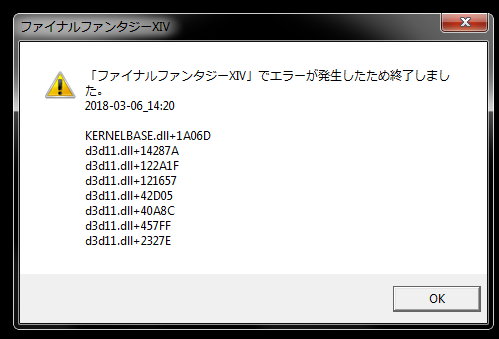 I am not getting d3d11.dll errors now because the game just stops responding and eventually crashes. This is extremely frustrating. I can get ReShade running, but there will be no shaders that load. I Shift + F2 and designate the path to my shaders, restart tutorial, and then restart game. Yet, the issue persists. The .fx will not be there and the tray is blank. I also get this error when exiting the game.